Sojourn is a temporary stay, a journey that allows an end to unfold creating space for a new beginning. Yoga is union of mind, body, and spirit. The time spent on your mat is temporary, a sojourn. Once you step off your mat and into your daily activities, the possibilities of the practice are endless. The physical benefits affect our state of being; as your strength and flexibility increases, stress and tension subside leaving confidence and self love to create an inquisitive and mindful approach to movement and being. This is different for each individual and our bodies are ever changing; as we sojourn through those changes and awakenings, we find many layers. The practice of yoga gives us the ability to explore these layers and awaken awareness. My goal is to create a space to explore the physical practice of yoga, to increase strength and flexibility, to question limitations and possibilities, and expand your mind as you develop an understanding of the practice of yoga, realizing your personal sojourns. Sojourn yoga opened the doors in June 2013. The studio is located at 4211 Ferne Blvd. 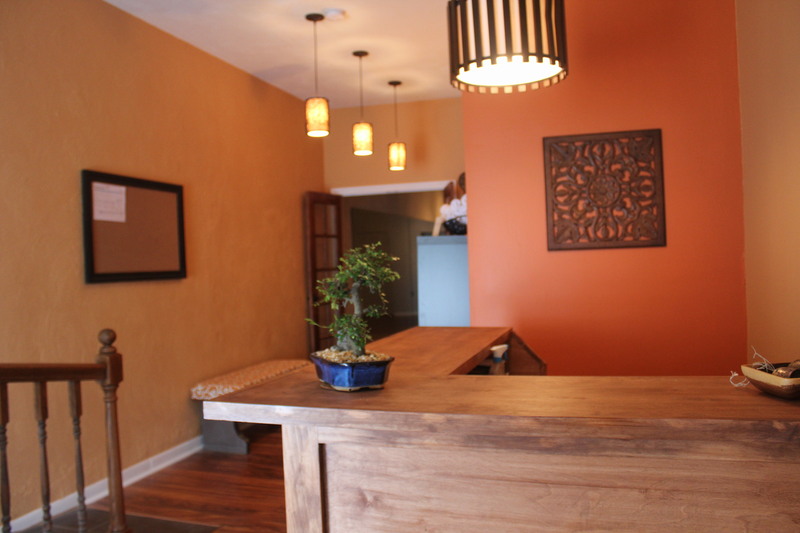 For 2 years proceeding our studio opening, we shared space with MKA Karate in Drexel Hill. Our studio and schedule provides an opportunity to establish a consistent daily practice. Our goal is to provide a space to explore the practice of yoga. Our teachers are committed to helping you in your personal journey & sharing their knowledge of yoga. Sojourn Yoga offers classes to accommodate beginners and advanced yoga practitioners. Please review our class and schedule pages for our latest practice information. Metered parking is available directly in front of the studio. Meters require quarters Monday through Saturday 9am to 6pm. Liz Shanefield began Sojourn Yoga in 2011 to build a community of yogis in her neighborhood and share with as many people the benefits of a yoga practice. She started teaching yoga in 2007 after a few years of practicing sparked a curiosity to discover more about the practice, it’s history and philosophy. She has developed an approach of teaching and practicing through immersion in study, retreats and workshops on yoga and meditation. 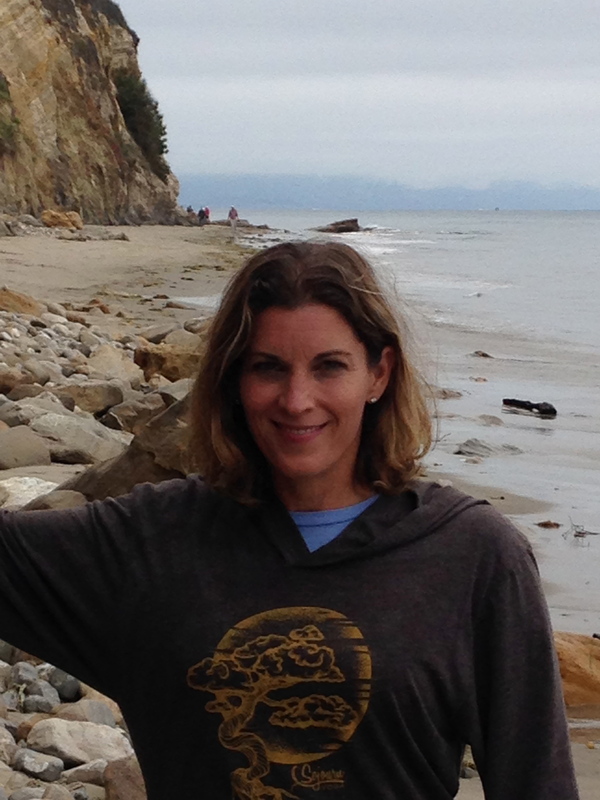 Liz is an experienced registered yoga teacher through Yoga Alliance. In 2017, she completed a 500 hour Yoga Teacher Training at the Himalayan Institute. She completed her 200 hour Yoga Teacher Training at Verge BodyMind and also completed 100 hours of Yin training at Omega Institute. Along with her beloved teachers at the Himalayan Institute in Pennsylvania, some influential teachers are Cara Bradley from Verge BodyMind, Johnny Gillespie from Empowered Yoga, Biff Mithoefer from biffmithoeferyoga.com and Greg Walsh from Samadhi Yoga in Dublin, Ireland. Prior to opening Sojourn Yoga, Liz taught yoga and fitness for Villanova University, LA Fitness and as a freelance yoga instructor throughout the Delaware Valley. Dan Thompson began following his yoga path in 1998, and has been teaching yoga since 2000. He received his 200 hour Yoga Alliance certification through the combined Empowered Yoga/Verge Yoga Center teaching program in 2005. He received his 500 hour certification from the Himalayan Institute in 2017. He also has 100 hours of yin training at the Omega Institute. In addition to teaching at Verge since 2005, he has also been a Yoga Teacher Training facilitator at Verge Yoga since 2006, helping dozens others to begin their own yogic path. Dan considers himself very lucky to have studied with such teachers as Beryl Bender Birch, Rolf Gates, Doug Keller, Simon Park, Donna Debs, David Nichtern, Scott McBride, Cara Bradley, and Johnny Gillespie among others. He has studied and taught various yoga styles, including hatha, Iyengar, Ashtanga and Yin yoga. Prior to beginning his yoga path, Dan studied martial arts for over 18 years and was a teacher of karate for over 16 years, reaching the rank of fifth degree black belt in Shotokan karate. Besides Shotokan, he also studied Aikido, Tai Chi, Jujitsu, self-defense and fencing among other martial arts disciplines. Whether the path be yoga or martial arts, Dan believes that mind, body and spirit are all connected and can be fully developed and experienced using the power of breath. Marilyn Firchow has been in the Fitness Industry for over 25 years & now adds to her passion as a certified and registered vinyasa flow yoga teacher. She believes in inspiring her students to grow in their practice at their own pace while connecting the breath to the movement. Marilyn discovered the mind, body, and spirit connection in vinyasa flow yoga made her a more centered, focused, and compassionate person. The joy and calmness that flowed into her personal life was her impetus to give back as a yoga teacher. Marilyn completed her 200 hour Yoga Teacher Certification in March 2014 and now teaches a class where the body and spirit feel energized, joyful, and balanced. Marilyn is also a licensed Physical Therapist Assistant practicing in an out-patient clinic and a retirement center, utilizing traditional therapeutic exercise with yoga to progress her patients. As a yoga teacher, Marilyn is able to fulfill her desire to share the gift of the mind, body, spirit connection with others. Marilyn believes in the transformative power of yoga and enjoys sharing the remarkable benefits in a way that is accessible for all students. Christina discovered yoga while coping with postpartum depression after the birth of her son. Feeling lost and detached, she longed to find something to anchor her and breathe new life into her sails. Christina fell in love with the asana practice, the movement and flow, and the stability and strength that yoga provided for her. As a former school teacher, she realized that teaching runs deep in her blood, and her heart ached for the opportunity to teach and touch lives again. In May 2015, with the encouragement and support of her teacher, Liz Shanefield, studio owner of Sojourn Yoga, Christina completed a 200 hour Vinyasa Yoga Teacher training and has been happily teaching yoga ever since. Over the past ten years, she has been fortunate to study with over 50 various teachers throughout the Philadelphia area and continues to draw inspiration from them as she dives deeper into the practice, taking classes and workshops whenever she can. She begins her studies for advanced teacher training in September 2018 and expects to receive her 300 hour certification by December 2019. Christina enjoys guiding her students mindfully through safe and responsible movement using body and breath awareness while offering the ability to find freedom, peace, and joy in their yoga practice. She hopes her students can take all these insights and gifts with them as they step off their mat and embrace his or her life journey with more compassion, openness, and love. Joe began his journey in 2008. He read a few articles of the benefits of yoga and wanted to incorporate stretching into his workouts. Joe was a little hesitant at the time because he did not know any men taking yoga classes. He signed up for a 4 week beginner class and has never regretted it. Joe completed the Verge Yoga teacher training in 2015 and looks forward to sharing his practice and knowledge with others as a part of the Sojourn Yoga team of teachers. Joe also teaches yoga at Villanova University. Brittany first became interested in yoga as a way to gain flexibility and alleviate back pain. After a few classes she began to feel the physical and mental benefits of the practice. After a few months Brittany began to see positive changes in both body and mind. She experienced more openness in her body and less pain in her low back. She gained strength (emotionally and physically) that helped to support her throughout the practice and in the poses. She had a calmer mind and developed a lightness in heart and spirit. Brittany knew that she needed to share this with her family, friends and community. Brittany completed her 200hr teacher training at Enso Yoga Studio in Media, PA. She strives in continuously deepening her knowledge and personal practice to be able to offer as much as possible to her students. Being aware of their personal needs and goals. As well as supporting their growth and development throughout their yoga practice. In addition to yoga, Brittany’s passions include; hoop dancing, painting and creating and being in nature. Bloom where you are planted!! Ellen is an Upper Darby native! She began her yoga practice with Liz at MKA karate in 2011. As a faithful, happy yogi, Ellen believes yoga (or regular mindful movement) strengthens the body, calms the mind and frees the spirit. She feels so blessed to have met Liz and benefited from her commitment to our community by opening Sojourn Yoga Studio that welcomes all. She completed her 200-hour teacher training with Gabrielle De Burke of Dragon Spirit Arts in June of 2016. Through Dig Yoga, she completed her prenatal teacher training in August 2017. Marina is an Upper Darby native and graduate of Sojourn Yoga’s inaugural Teacher Training program. After a lifetime of ballet training, she started practicing yoga in 2013 when a friend fortuitously introduced her to an instructor who shared a similar background in dance. Exploring a movement practice that honored the connection between body and mind inspired Marina to dive deeper into studying asana and yoga philosophy. Her insatiable interest has lead her to practice in studios throughout Philadelphia, its surrounding counties, and the West Coast. Marina teaches a variety of styles including hatha, yin, and vinyasa. She is committed to creating calm, thoughtful spaces that encourage inward reflection. She finds great enjoyment in guiding students through mindful movement and breath work. Marina is grateful for the guidance she has received from Liz and Dan at Sojourn. Her yogic journey may just be beginning, but she is ready to meet every new experience with compassion and every lesson with humility. Danielle is an Upper Darby native. After high school, Danielle received her cosmetology license. She found enjoyment in helping others feel better about themselves. She later reached a point in her life where she aspired to find something that would genuinely make her happy… something that would balance her mind, body and spirit. Within a short time, she knew that yoga was her calling. In August 2017, Danielle completed her 200 hour yoga teacher training at Sojourn Yoga Studio in Drexel Hill. In her free time, Danielle enjoys spending time with friends and family. Elizabeth began her yoga practice at Sojourn in 2014 and after a few months took time away to pursue her Master’s in Counseling. She returned to her mat in 2017 after graduation and decided to pursue teaching after experiencing the benefits of yoga for mental, emotional, physical, and spiritual wellness. Elizabeth completed her 200-hour yoga teacher training at Sojourn in August of 2017 and began teaching part-time in 2018. Elizabeth strongly believes in the power of yoga to encourage love of self and surroundings, as well as, to help cultivate mindfulness and awareness of one’s internal life. Elizabeth often brings yogic philosophy and principles into her work as a counselor at Neumann University and in private practice. Elizabeth earned her certification as a trauma-informed instructor from Enso in 2018. She teaches mainly in the hatha style but also enjoys the yin and vinyasa traditions. Elizabeth is grateful to be a part of the Sojourn community and for the guidance and support of Liz and Dan and the other Sojourn instructors. She hopes to see you on your mat! Namaste! Nancy recently retired as a nurse for 40 years. She graduated from the 2017 Yoga Teacher Training program at Sojourn Yoga and hasn’t looked back.